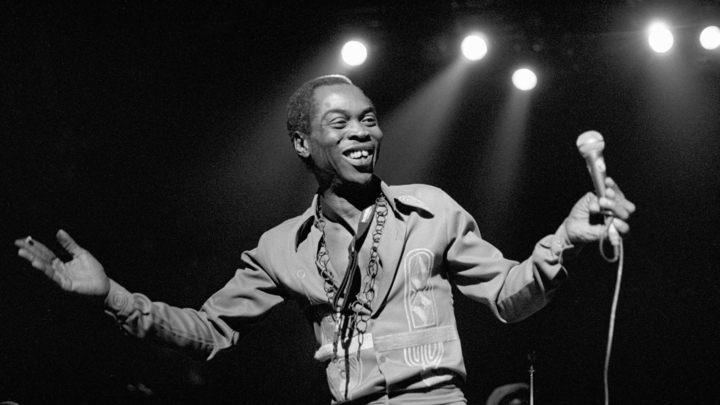 Finding Fela is a documentary about one of Africa’s biggest music Icons Fela Kuti. I recently saw this documentary and I was completely blown away. It was directed by Academy Award-winner Alex Gibney. Even though I know who Fela is, It felt like I was being reintroduced to the legacy of this very talented man. Finding Fela is a must watch and comes highly recommended by me. It was interesting from start to finish. It is already showing in select theaters in the US but opens officially world wide Sept 5. You can find out where it is showing in your area and PURCHASE TICKETS HERE. I will be posting showtimes and cities on this post as an update so keep your eyes here for places to watch Finding Fela. Check out a list of showtimes and purchase tickets here.. The trailer will be super hit !!! Fela the legend! My dad busts his songs all day long. I know them off by heart.